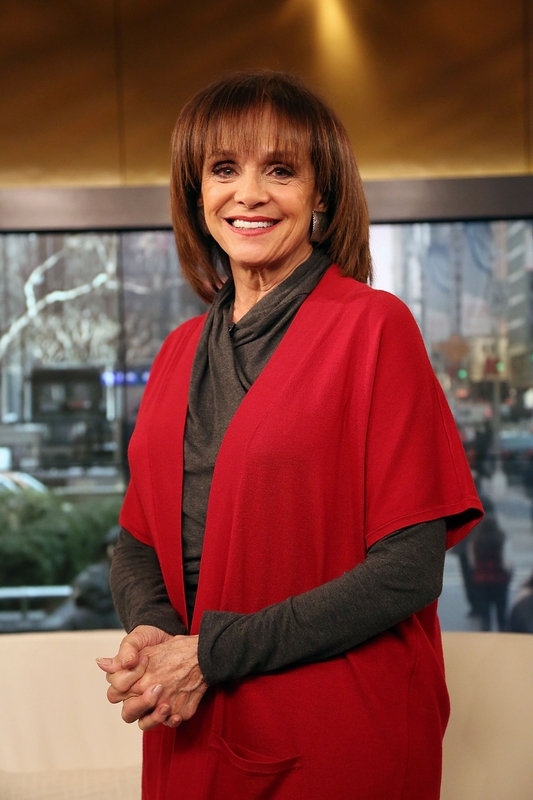 Actress Valerie Harper, shown visiting “Fox & Friends” last week, has kept an extraordinary pace since her cancer diagnosis. LOS ANGELES – Valerie Harper is positively radiant these days. There’s a sparkle in her eyes and a genuine warmth in her smile. Why not? She’s defied the odds. Early last year, Harper was told she had three months to live. Harper, a nonsmoker who had a cancerous tumor removed from her lung in 2009, has a rare form of lung cancer that had spread to areas around her brain. Harper has kept an extraordinary pace since her diagnosis. She reunited with “MTM” stars Moore, Betty White, Georgia Engel and Cloris Leachman for the finale of TV Land’s “Hot in Cleveland” last fall. She did “Dancing With the Stars” last season – Harper and her partner, Tristan McManus, were voted off after their fourth dance – and has a quirky guest starring role in Martha Williamson’s (“Touched by an Angel,” “Promised Land”) new series “Signed, Sealed, Delivered,” which premiered Easter evening on the Hallmark Channel. She’ll be on one more episode on Sunday. “The message of all of this is don’t give up on your life worrying about death,” Harper said, during a recent interview at the Hallmark Channel offices in Studio City. Last week, Harper took to the media to clarify a magazine article that quoted her saying, “I’m absolutely cancer free.” Harper isn’t “absolutely” cancer free. But she has responded well to the medicine she has taken for the last year. Long before she was cast as Rhoda, Harper was a professional dancer who appeared in the corps de ballet at the Radio City Music Hall as a teenager as well as in the chorus of such early 1960s musicals as “Wildcat” with Lucille Ball and “Take Me Along” with Jackie Gleason and Robert Morse.